Home stay South Plaza is situated in Greater Kailash 2 in Delhi. There are many religious and historical places of interest within a few kilometres from the property. Lotus temple, Khirki Masjid, Qutub Minar, Tughlakabad Fort and Ruins of Qila Rai Pithora. The hotel and its well-equipped elegantly decorated in white and wooden hues, for a pleasant stay of its guests. 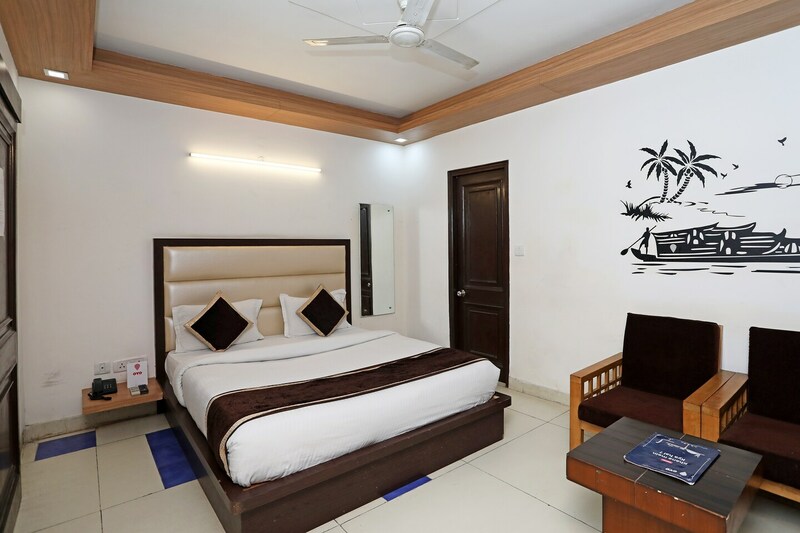 The amenities offered are TV, AC, room heater, geyser, laundry, power backup, free Wi-Fi, parking facility, CCTV surveillance, a separate living room and dining area. The restaurants closest are Chehel Pehel, Cress Bistro, Ambarsaria by Gourmet Affaires, Natural Ice cream, Zai and more.